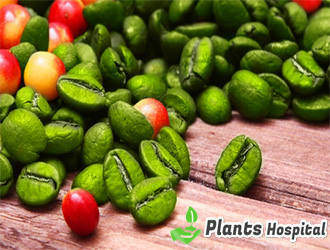 Green Coffee Beans are not yet roasted seeds of the coffe plant. Coffe fruits are in the form of coffee seeds (beans). In the process of roasting coffee beans, the amount of chemical chlorogenic acid that the beans have is decreasing. Therefore, compared to roasted coffee beans and green coffee beans, the remaining green remains very high in terms of chlorogenic acid. Green coffee has this characteristic of chlorogenic acid is considered to be very useful for health. Caffeine in green coffee has a positive effect on mood and brain activity. According to a study published in February 2008, caffeine can increase caffeine response time, wakefulness, memory wakefulness, focus, fatigue stamina, and other factors of cognitive performance, according to a study published in February 2008. Experts have recommended that green coffee be taken as a 1/3-4 Cup for these effects. ✓ Helps To Lose Weight: Green coffee extract contains a natural chemical known as chlorogenic acid. Researchers believe that this substance has the ability to influence the body’s fat storage process. These seeds also help to speed up metabolism because they contain caffeine. Because of the chemical content of green coffee in recent years, scientists have said that green coffee can provide benefits as a supplement to diet programs for weight loss. ✓ Affects Blood Sugar Levels: Some studies have shown that green coffee extract has a beneficial effect on the production of enzymes necessary to keep glucose in the liver due to its chlorogenic acid effects. Researchers assume that green coffee can help reduce blood sugar levels of people with diabetes by interfering with this process. ✓ Affects Blood Pressure Levels: In addition to the benefits of weight loss, the chlorogenic acid contained in green coffee can help lower blood pressure. Green coffee has been shown to reduce blood pressure in patients who consume green coffee in the “clinical and experimental hypertension” studies published in 2006. Green coffee, which has no side effects observed, is shown as a safe way to reduce high blood pressure. ✓ Protects Against Cancer: The compound antioxidants contained in green coffee beans and other derivatives protect the body from the effects of free radicals that damage the body. Green coffee prevents the damage of stress and free radicals, thus keeping the cell safe. In July 2004, an article published by the Journal of Agriculture and Food Chemistry emphasized that green coffee beans contain chlorogenic acid antioxidants, thus preventing cancer cells from multiplying. ✓ Energizing: Green coffee is also thermogenic. So if you need to increase your energy during the day, you can try green coffee. Raw and green coffee beans can be very helpful in this regard. 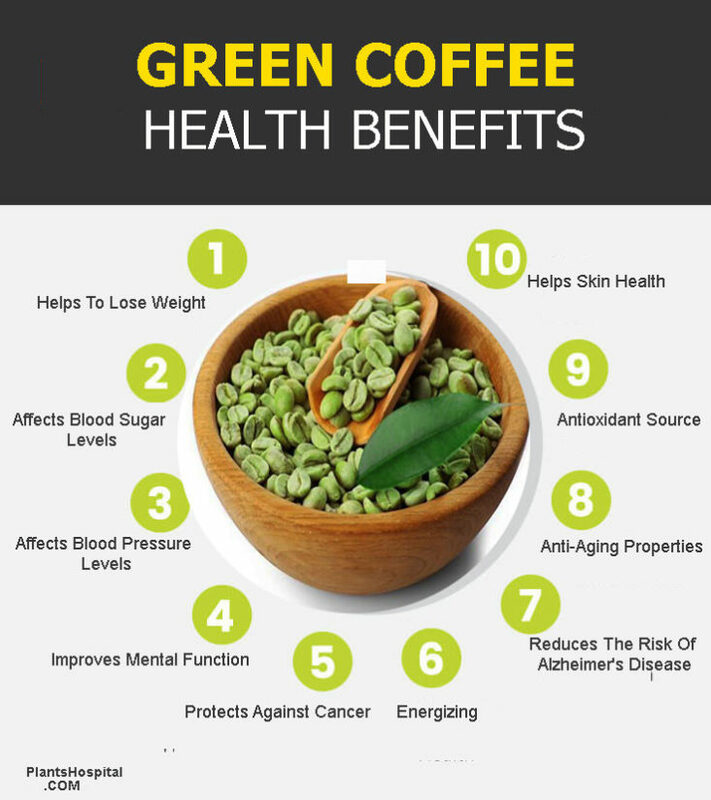 Studies have shown that green coffee can accelerate metabolism as well as burn excess fat and cleanse us with the energy we need during the day to do all these things. ✓ Reduces The Risk Of Alzheimer’s Disease: Green coffee beans are actually unheard of and unprocessed. We all know that Coffee can influence daily mental focus. But the feature components contained in the shape coffee beans can also be useful for developing neurotransmitter functions and reducing the possibility of Alzheimer’s disease. ✓ Anti-Aging Properties: It contains an antioxidant in green coffee seed called ORAC. It can therefore help to reduce the effects of aging caused by free radicals. 400 milligrams of green coffee beans contain approximately 2500 ORAC units. For example, in blueberries this is only 10%. But that doesn’t mean you have to stop eating blueberries. If you want to supplement more anti-aging activity instead, you can try green coffee. ✓ Antioxidant Source: Green coffee beans are a green liquid containing a variety of bioactive compounds. Polyphenols, flavonoids, chlorogenic acid is very strong in terms of antioxidants. These antioxidants protect the body, cells and molecules against the damage of free radicals. This coffee beans also contain some minerals which are very beneficial for human health. ✓ It Works As A Natural Laxative (Laxative): Green coffee beans serve as a perfect and natural laxative. People suffering from irregular bowel movements can consume green coffee’s in the evening and control these irregular bowel movements. ✓ Affects Cholesterol Levels: Green coffee beans reduce the content of low-density lipoprotein in the blood; they also affect high-density lipoprotein and bad cholesterol levels. ✓ Supports Heart Health: Cardiovascular disease has become a deadly disease that has caused many deaths in recent years. Some studies on green coffee beans have assumed that green coffee can be effective on the lining of blood vessels due to its contents. These seeds protect the person against heart disease by inhibiting low-density lipoprotein (LDL). 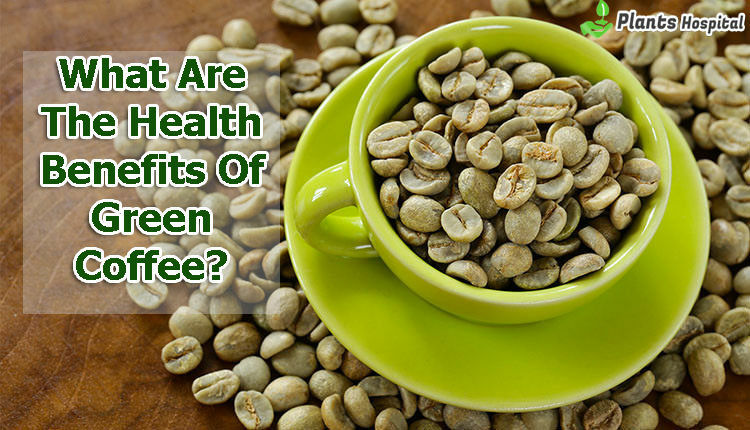 For this reason, Green coffee’s helps your heart become stronger and healthier. ✓ Helps Skin Health: Extract has a positive effect on skin. A peeling made with green coffee also supports removal of free radicals as well as FREE Removal of dead cells. At the same time, green coffee’s extract, which accelerates blood circulation, helps to eliminate acne and skin roughness. What Are The Benefits Of Coffee To Skin? • Coffee is scientifically considered a miracle. Drinking coffee, along with many health benefits, is also very effective for the skin. The situation is very pleasing for coffee lovers. A cup of coffee nourishes the skin from the inside out. • Coffee is a complete antioxidant, so it is considered an excellent option to prevent environmental pollution and damage to the skin by free radicals. • Coffee protects skin from harsh sun rays. Harmful UVB rays can cause life-threatening skin diseases. According to studies, caffeine is a protective shield against UV harmful rays. So it inhibits DNA damage. • Coffee helps for smooth and radiant skin. Because coffee plays an important role in regulating the re-growth of cells leading to skin elasticity. • Coffee helps increase blood circulation. When it encourages blood circulation, tissues and swelling in the skin are reduced. So, healthy and energy-filled skin is also available. What Are The Health Benefits Of Turkish Coffee? → While drinking excessive amounts of coffee causes many side effects, regular and excessive drinking coffee has great advantages in terms of Health. Turkish coffee, like other coffees, is very popular. Turkish coffee is basically prepared with the cooking of roasted coffee beans. The taste of this coffee, which is peculiar to Turkish cooking style, is stronger and more pronounced. → Turkish coffee can reduce the risk of cancer. → According to research, Turkish coffee consumed for a long time can affect the risk of cancer. Breast cancer is a disease in which malignant (cancer) cells form in the tissues of the breast. → Turkish coffee can help reduce the risk of diabetes. According to studies on Coffee, especially type 2 diabetes can resist the development of the coffee. → Turkish coffee can reduce the risk of premature death. According to research, the general health of people who consume coffee on a regular basis is less than those who do not consume. Therefore, early death rate in people consuming coffee is low. → Turkish Coffee can help burn more fat. Turkish coffee, especially consumed before exercise, both energizes and increases the burning potential of fat. What Are The Damages Of Green Coffee? Because Green Coffee’s contains caffeine, it can cause insomnia, irritability and restlessness, stomach discomfort, nausea and vomiting, increased heart and respiratory rate. Large amounts of green coffee consumption can cause tinnitus, headache, anxiety, agitation and irregular heartbeat.
! Anxiety Disorders: Caffeine content in green coffee can make anxiety disorder worse.
! Bleeding Disorders: There are concerns that caffeine content in green coffee’s can make bleeding disorders worse.
! Diabetes: Some studies suggest that caffeine content in green coffee can affect blood sugar levels, so the higher the caffeine dose, the lower the blood sugar level. If you have diabetes, you should take care of your blood sugar levels.
! Diarrhea: Consuming large doses of caffeine can make diarrhea worse.
! Glaucoma: Caffeine content in green coffee’s can increase eye pressure. The increase starts in 30 minutes and lasts for at least 90 minutes.
! High Blood Pressure: It can increase blood pressure in people with high blood pressure. However, this effect has been observed in people who consume coffee on a regular basis.
! Irritable Bowel Syndrome (ibs): This Coffee is especially at risk of worsening symptoms of diarrhea and IBS when taken in large quantities as it contains caffeine.
! Weak Bones (Osteoporosis): Caffeine can throw out the amount of calcium. For this reason, it can cause weakening of the bones. If you have osteoporosis, coffee consumption should be limited to 2-3 glasses daily and 300 mg caffeine. This coffee can be consumed daily by flavoring it with plain or other flavours. You can drink 2 glasses a day, in the morning and in the evening. Add a teaspoon of sugar or honey to sweeten the coffee can make it more delicious.